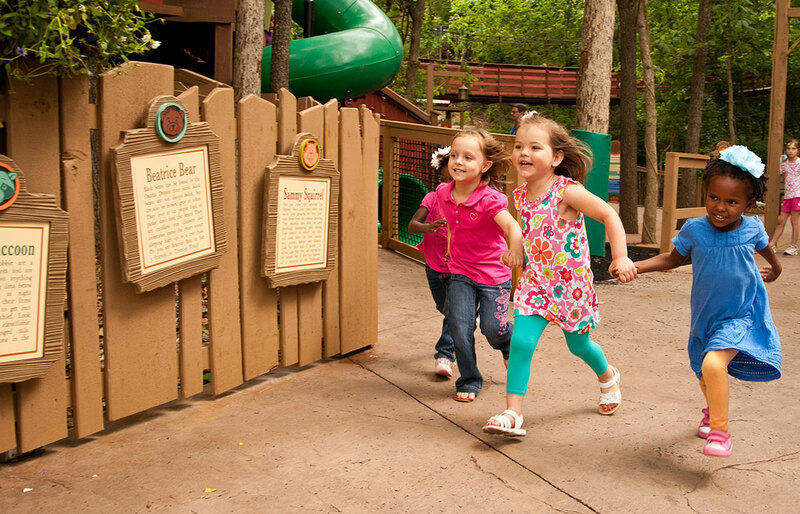 How do you make your family visit to Silver Dollar City the best day ever? Parents, grandparents and caregivers know that when it comes to outings with kids, it’s the little things that can turn a good day into one that you'll never forget. Here are some of our top tips to help you plan ahead and hassle-proof your visit to Silver Dollar City! If you have an infant, then bringing your own stroller is most likely the best option. At that stage a stroller tends to be more than just a transportation device. It’s more like a mobile command center. Your stroller can travel with you on any of Silver Dollar City’s trams or buses. Just be prepared to fold it up for the ride. While you’re in the park, your stroller can go with you into most shops, eateries and even some theaters. There will be times when you will need to leave your stroller outside. Don’t worry – it will be safe while you’re away. Please just be sure to err on the safe side and take any valuables with you. Single strollers are available to rent for $15 per day and doubles are just $20 per day. Renting can be super convenient when your kids are a little older and you don’t want to drag a stroller to and from your visit. 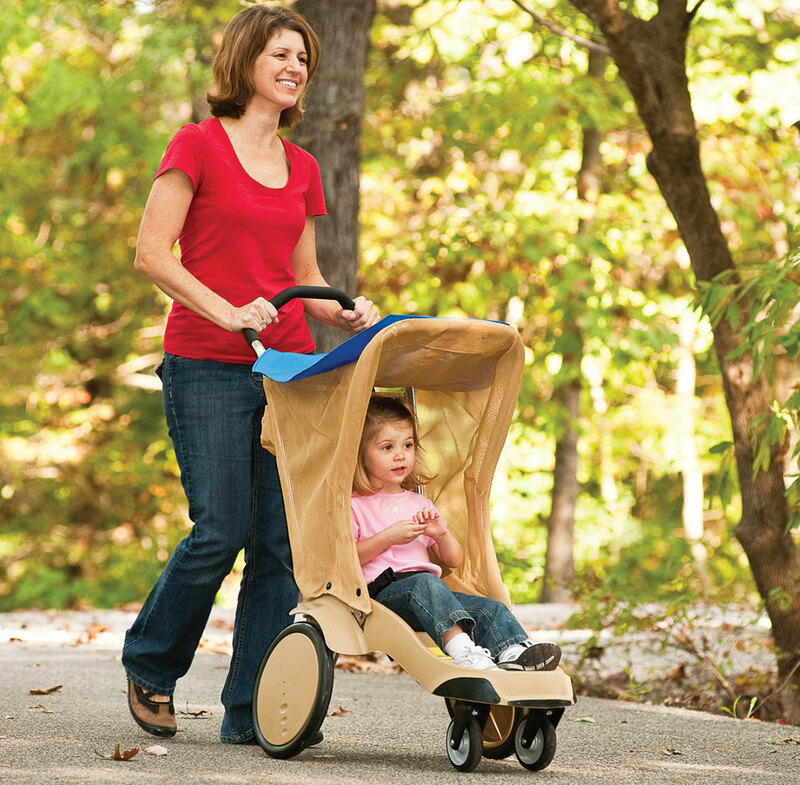 Strollers are made of hard plastic and include a sunshade and two pouches on the back for storing small items. Strollers can be reserved in advance, or a limited number can be rented at the Silver Dollar City Rentals Booth on a first come, first served basis. Some guests prefer bringing a wagon over a stroller. This is perfectly acceptable. Just keep in mind that, depending on the size, some wagons may not be transportable on a tram or bus, so be prepared to walk from the parking lot to the front gate. Don’t want to tote your stuff around all day? Check out Silver Dollar City’s park wide locker rental program. For just $5 per day you can access 10 different locker locations and move your things with you as you make your way through the park. Lockers are available for rent outside the Front Gate, Marvel Cave, Hospitality House Restrooms, American Plunge, The Giant Barn Swing, Lost River Of The Ozarks, Riverfront Playhouse, Time Traveler™ PowderKeg® and Hannah's Ice Cream. Please note: Family-sized lockers located behind the ticket booths are not included. These all-day family-sized lockers are $8 for unlimited entries to one locker per day. Mother's Nursing Stations offer a quiet area to care for your child's needs. Silver Dollar City provides 4 Nursing Stations throughout the park. They are located by the restrooms at the Hospitality House, Red Gold Heritage Hall, Fireman's Landing and The Giant Barn Swing. Baby Changing Stations are located in every restroom on park (except in the Mine restaurant). Baby Changing Stations are also available in the Mother's Nursing Stations located at the Hospitality House and Red Gold Heritage Hall. Diaper dispensers are available in restrooms located at the Hospitality House, Red Gold Heritage Hall, Riverfront Playhouse and at The Giant Barn Swing Mother's Nursing Station. Family assist or companion restroom facilities feature their own private entrance. They are available at Thunderation, Red Gold Heritage Hall, across from Crossroads Pizza and First Aid. Check out this blog for everything you need to know about the best rides & attractions for kids at Silver Dollar City. Avoid unnecessary tears and meltdowns by heading to the Official Measuring Station in The Grand Exposition before you start hitting rides with the little ones. Not only will your child feel like a big shot because of the special treatment, they’ll also get a cool color-coded wristband and a list of all the fun rides they can participate in. This is a much better option than finding out at the last minute that they’re an inch too short for the ride they want to go on. Plus, the wristbands provided at the Measuring Station include an area for you to write your phone number, helping you and your child reconnect in the event you are separated. You don’t have to miss out on your favorite thrill rides just because your kids aren’t ready for them. Guests with children not meeting height requirements may enjoy rides by notifying the greeter at the ride of their situation. One adult will be allowed to ride while the second waits with kid(s). On the following ride cycle, the adults will “swap” places. Due to the nature of high thrill rides, guests will not be permitted to ride consecutively. Silver Dollar City has lots of great food and snack options, but you’re welcome to bring your own snacks and beverages into the park with you. Coolers are allowed as well with two considerations: Silver Dollar City does not allow alcoholic beverages of any kind, and for safety reasons, we ask that you do not bring glass containers into the park. 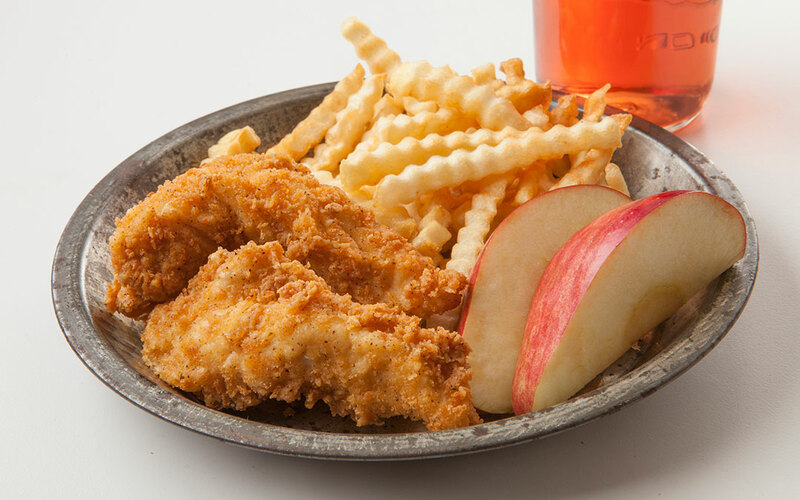 Keep your kiddos fueled up for their day of fun with delicious kids' meals available at the following locations: Wagon Works Grill, Lumbercamp Restaurant, Riverside Ribhouse, Dockside Grill, Hatfield’s Tater Patch and Lady Liberty Dining Pavilion. Each meal comes with an entrée, side and a drink. You’re going to have a great day at Silver Dollar City! Visit www.silverdollarcity.com/FAQ for even more helpful planning info.